Introduce fat, lush greenery into your aquarium: Tetra CompleteSubstrate encourages healthy plant growth and reduces water contamination with its high quality iron deposits and healthy micro-nutrients. The optimised quartz sand mixture aids water circulation and arrests algae growth. Aquatic plants can optimally absorb the essential nutrients from the added substrate and quickly put down their roots into this mixture. 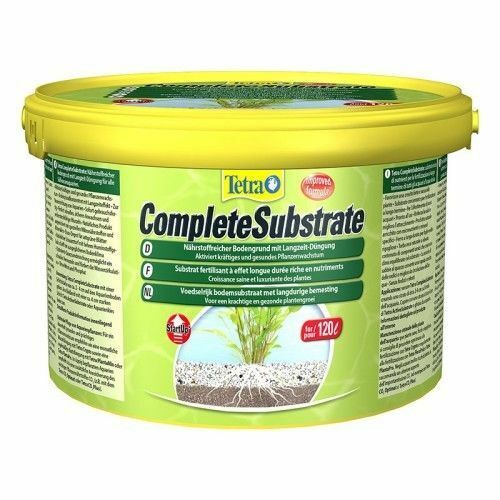 Take some of the burden off of your aquarium with Tetra CompleteSubstrate: for a healthy environment and a fascinating look in your home.